Life is better with Summer sunshine and PANDORA promotions! Save your time and your money, by reading our low down on the current PANDORA offers. Enjoy up to 50% off PANDORA jewellery in the UK Summer PANDORA sale! Buy more and save more at the PANDORA sale in Canada, with savings of up to 40% off PANDORA jewellery! The offer is both in store and online. The PANDORA sale in Australia isn’t as large as I had hoped, but there are a few hard to find items included. For example the pretty Teardrops Charm from the PANDORA Autumn 2017 collection was only available in a few countries. 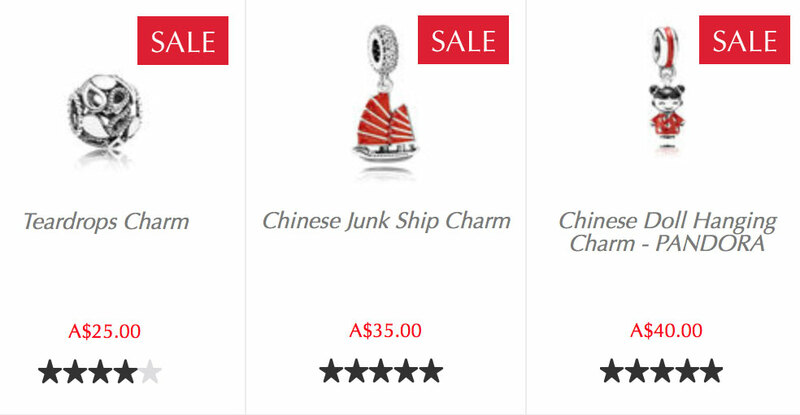 Also, the Chinese Junk Ship and Chinese Doll Charms are hard to find and are perfect for a red themed bracelet. 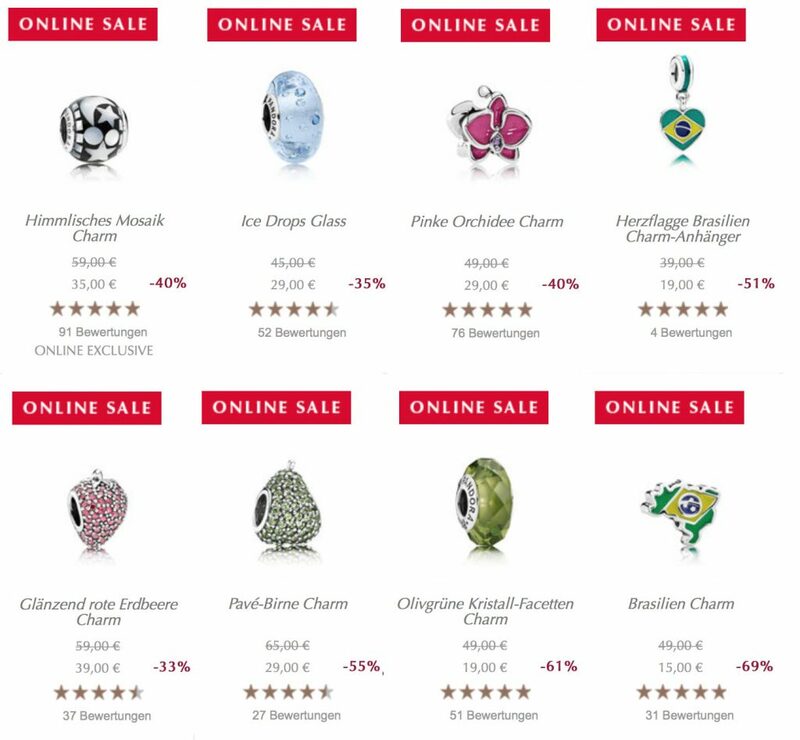 At the PANDORA German eStore you can receive up to 50% off PANDORA jewellery! 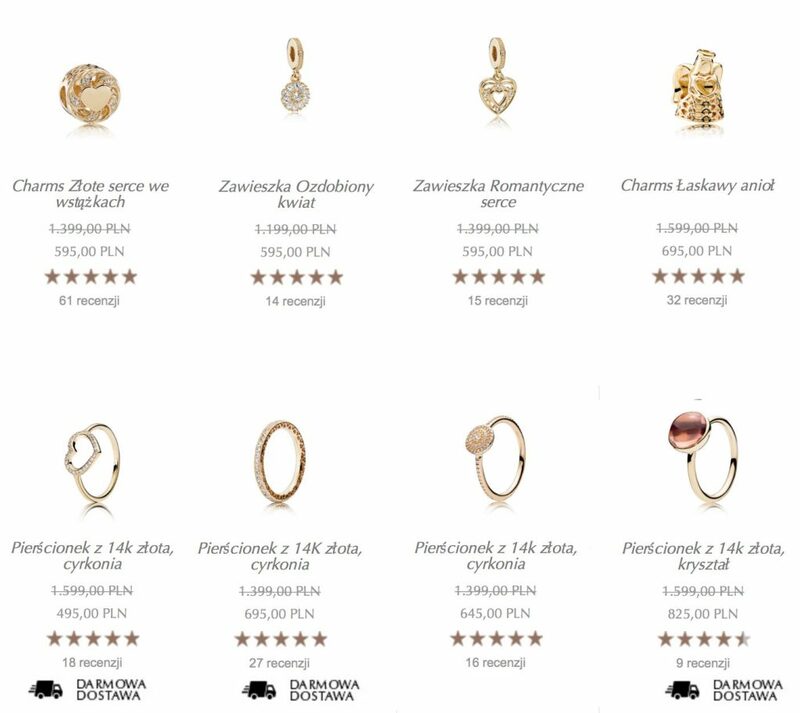 I was quite surprised to see two of my favourites from the PANDORA Winter 2017 collection included in the sale. The stunning Celestial Mosaic Charm wasn’t available in all countries and now it looks like it might disappear completely soon! The Ice Drops Murano is gorgeous and works well with Cinderella themed bracelets too! If you will be supporting Brazil for the world cup then you can bag both charms for just €19 and €15 each! The popular Pavé Strawberry and Pear charms are also included in the sale along with the magnificent Olive Crystal charm! The savings continue at the PANDORA Sweden eStore where you can catch up to 50% off PANDORA! 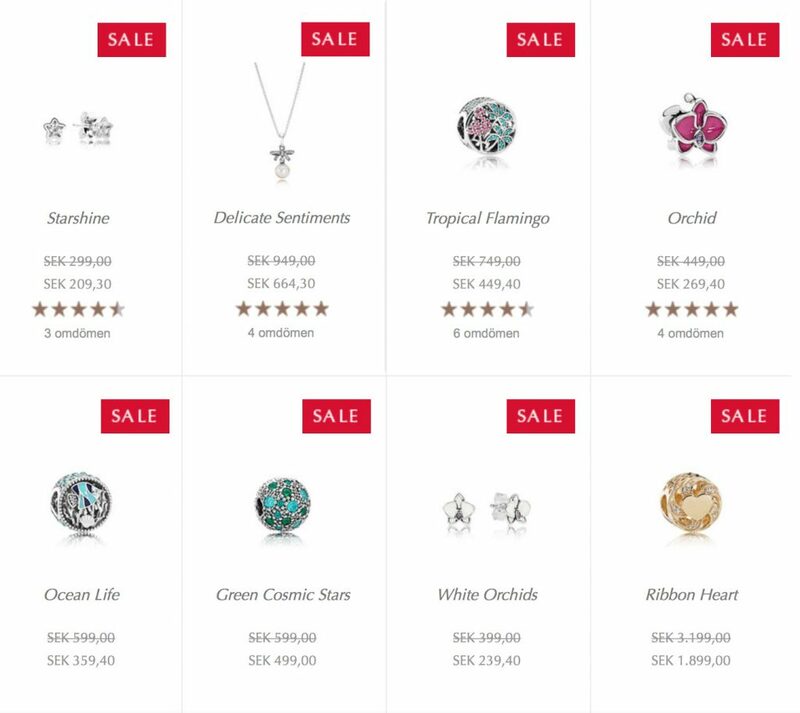 I am tempted by both the sweet Starshine and White Orchid Stud Earrings in the PANDORA Sweden eStore sale. The Ocean Life, Green Cosmic Stars Clip, Tropical Flamingo and Orchid charm are all lovely offerings from the PANDORA Summer 2017 collection. 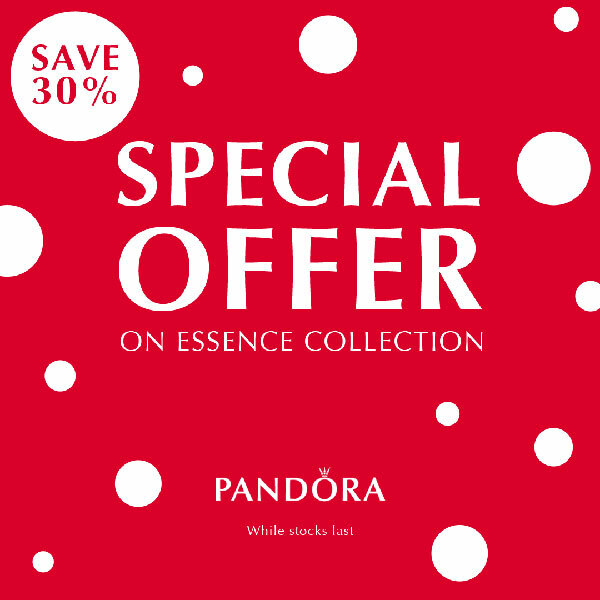 PANDORA fans in Russia are treated to two fantastic offers! As well as a sale with up to 50% off PANDORA there is a 3 for 2 on Rings promotion. From now until the 13th June you can buy 2 rings and receive 1 FREE! There is an amazing selection of PANDORA jewellery included in the PANDORA Romania sale! 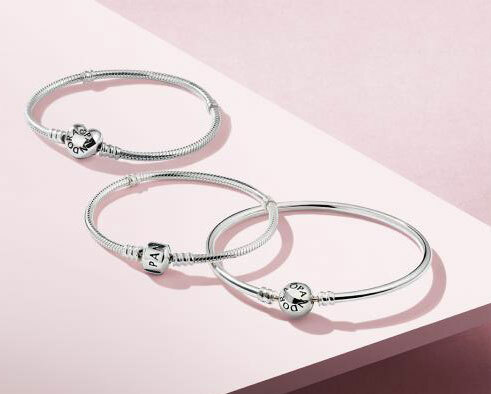 There are some very recent charms included in the PANDORA Romania sale, such as the wonderful Enchanted Garden Murano from the Spring 2018 collection and the Plentiful Hearts Murano from the Mother’s Day 2018 collection. If you are a Disney Princess fan you might be able to complete your dress collection with these beauties also included in the sale! PANDORA fans in Poland can enjoy a 50% discount on PANDORA jewellery! Go for gold with glittering savings on these 14ct gold items! 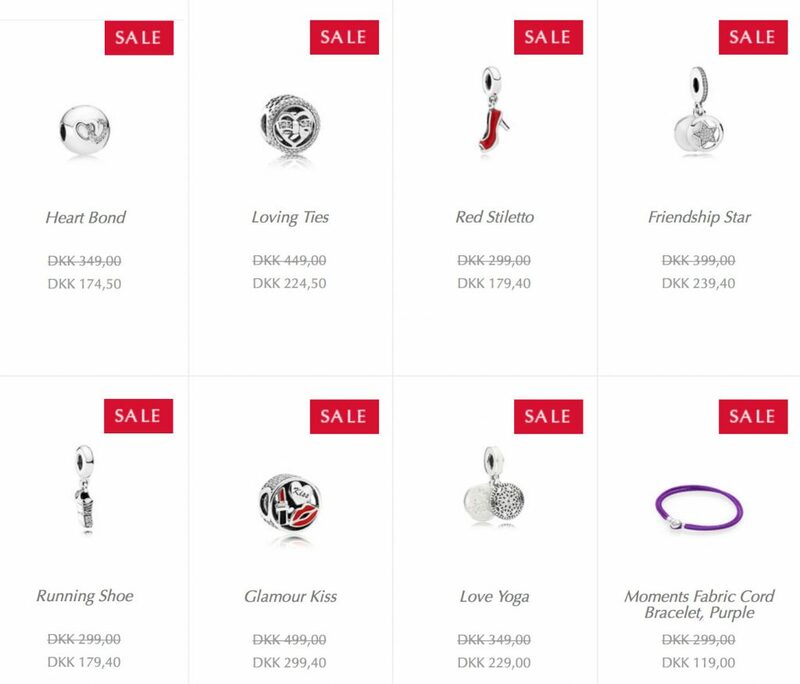 Save up to 50% discount on PANDORA jewellery in Denmark! Recent charms from the PANDORA Pre-Autumn 2017 collection are included in the sale in Denmark, such the Friendship bracelets. The Red Stiletto and Glamour Kiss charms from the Girls Night range have a great discount. 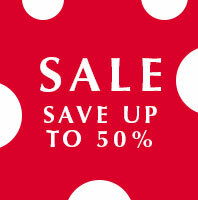 PANDORA fans in the Netherlands can enjoy a pretty saving with up to 50% discount on PANDORA jewellery. The PANDORA sale in the Netherlands is very similar to other sales in Europe. 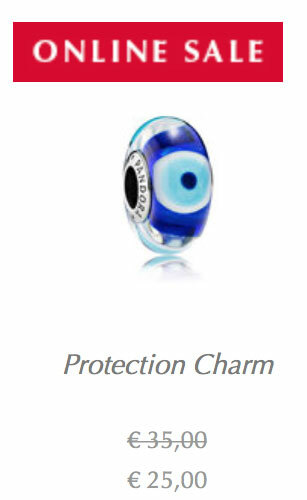 One major difference is the Eye / Protection Murano which is hard to find. If it is on your wish list still this is a great opportunity to grab it before it goes. PANDORA fans in the United Arab Emirates are being gifted a wonderful PANDORA jewellery box for Ramadan. 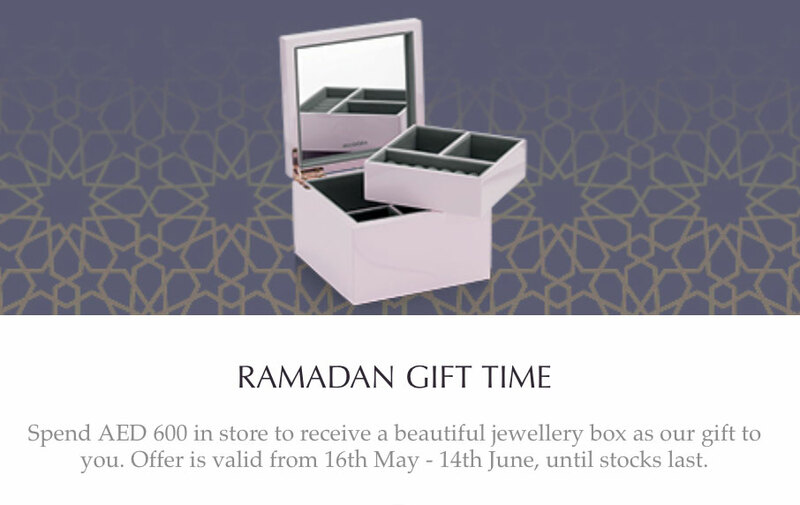 Spend AED 600 in store to receive a beautiful pale pink PANDORA jewellery box as a FREE gift. The offer is valid until the 14th June 2018 and while stocks last. There is double the fun in Hong Kong with a 3 for 2 Ring offer and a PANDORA sale with up to 50% off! From the 11th to the 13th June 2018, purchase any three rings and get the lowest priced item for FREE, while stock lasts. 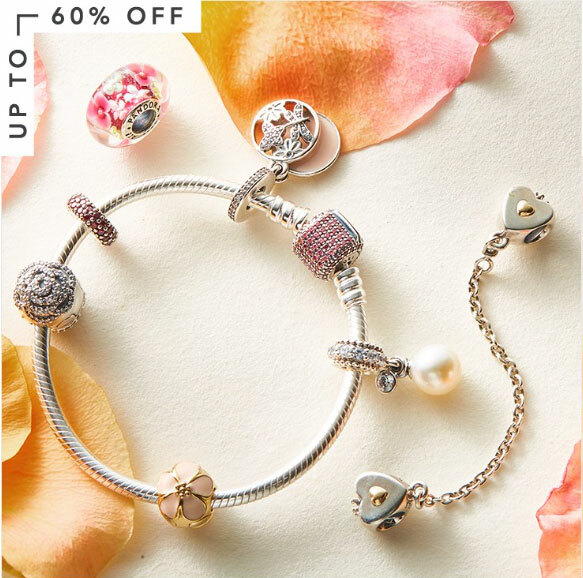 In Singapore enjoy up to 50% off PANDORA including some lovely gift sets! Sorry, there aren’t any promotions yet in Egypt but you can always use a mail forwarding company and take advantage of a PANDORA promotion from another country. MyUS.com is one that you can shop in the US then ship to Egypt. thanks so much for ur reply! Or a professional shopper to help you! I think Canada will be having the same event as the US but maybe the savings will be a little different. Once I have the full details I will add them to this post. The sale in Canada starts today and I have updated the post above with the information and link! Hello. I’m new to your blog. Do you ever cover Canada? We share as much PANDORA news as we can from all over the world! I didn’t get the information on the Canada sale as quick as the other countries but I now have it, I have updated the post with the information and links. I called my local pandora in the mall and they have my items on hold waiting for me. I’m super excited! Oooh what have you ordered?! I can’t wait for my sale purchases to arrive. I shopped both the UK and the US sale 😬😂 Most of my purchases are Disney and Murano charms and even my husband said the Murano charms are good as they can used a lot to change the style and feel of a bracelet.